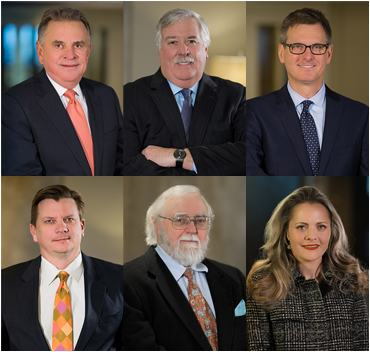 Since its founding in 1984, Secrest Hill Butler & Secrest has grown to become a prominent insurance defense firm in Oklahoma. We have extensive experience in the complete range of defense matters, including professional liability defense, general liability defense, insurance disputes and product liability defense. At Secrest Hill Butler & Secrest, we enjoy getting to know our clients on a personal level and we have an in-depth understanding of the issues they face. We pride ourselves on forming strong, trusting and continuous relationships with our clients. Excellent Service: We are committed to providing personalized service to our clients, always keeping them informed of the status of their cases. Communication is a critical factor between the firm and our clients. Our attorneys focus on a personal dialogue that ensures the client is involved in the legal process. Thorough Discovery and Trial Preparation: We perform timely, productive and meaningful discovery. Through such discovery, we seek to bring legal matters to an early resolution if possible and if not, thoroughly and aggressively prepare them for successful resolution at trial. Our goal at Secrest Hill Butler & Secrest is to work with you to achieve the outcome you desire and a successful, fair trial in an Oklahoma courtroom. Ethical Representation: In representing our clients in every practice area, we are committed to maintaining the ethical standards of our profession as officers of the court. This includes providing exceptional legal services at fair and reasonable rates. If you are an insurer looking for an insurance defense lawyer, or a corporation, professional or local business with litigation threatening, contact our law firm online or call 918-494-5905. One of our attorneys would be happy to speak with you.